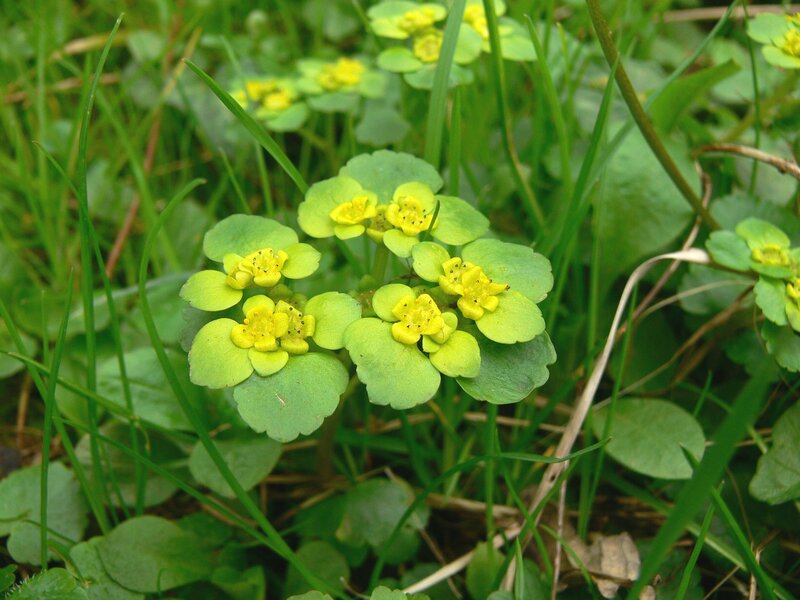 The Alternate-leaved Golden Saxifrage is larger than the more common Opposite-leaved Golden Saxifrage. 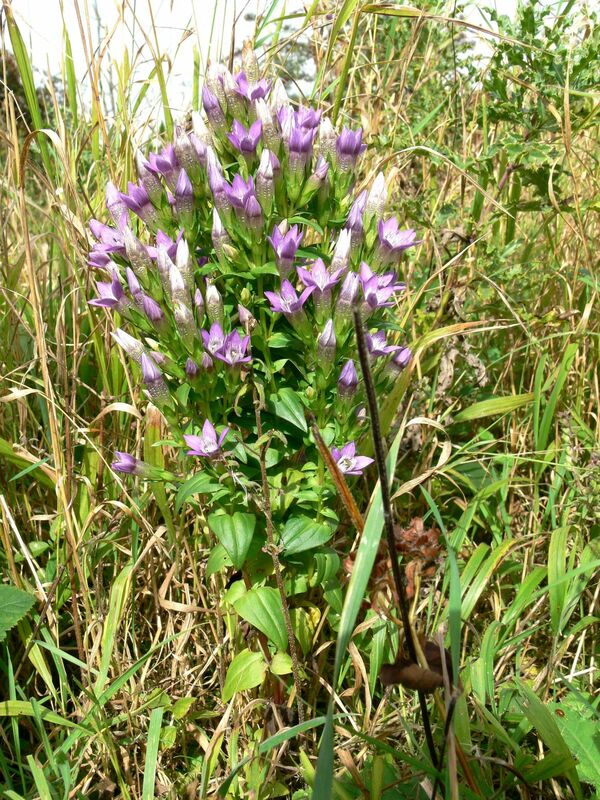 The wood has seen some splendid specimens of the Autumn Gentian up to 30cm tall. 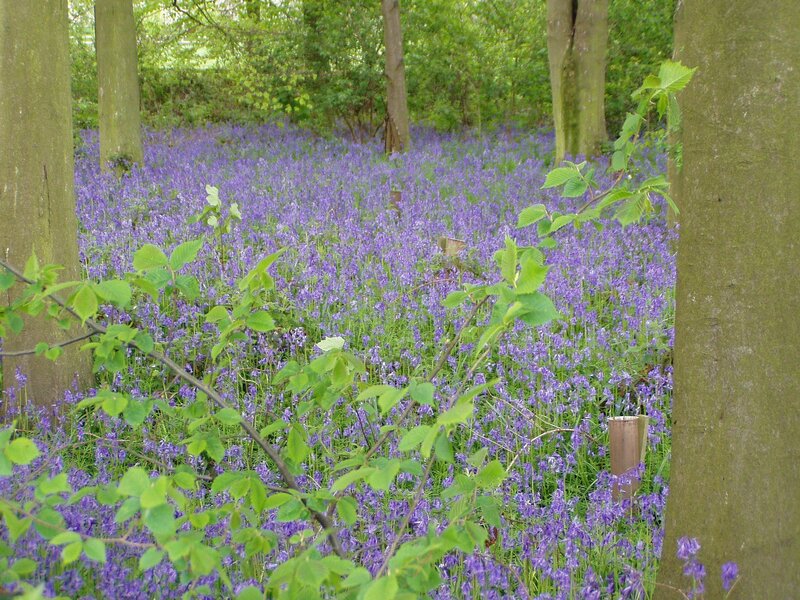 In the spring the wood is a haze of blue. 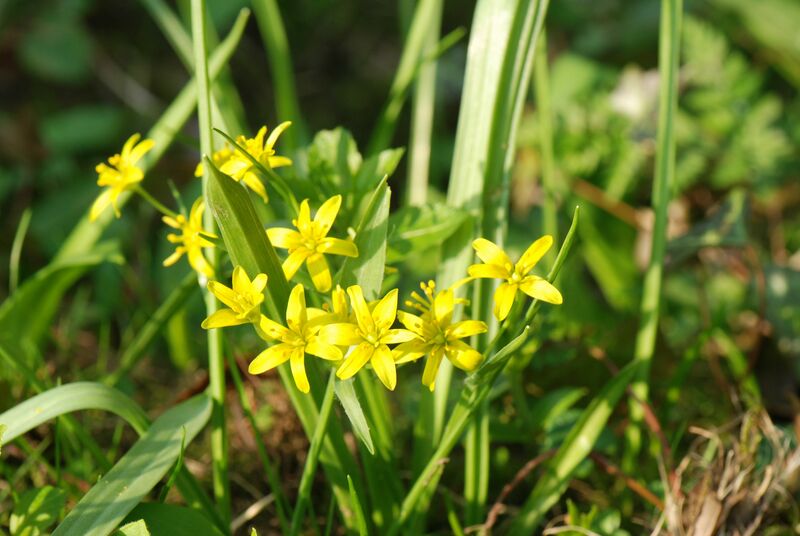 The Yellow Star of Bethlehem enjoys the damp conditions of the river bank but it is very short-flowered during February and March so timing is critical in order to see it. 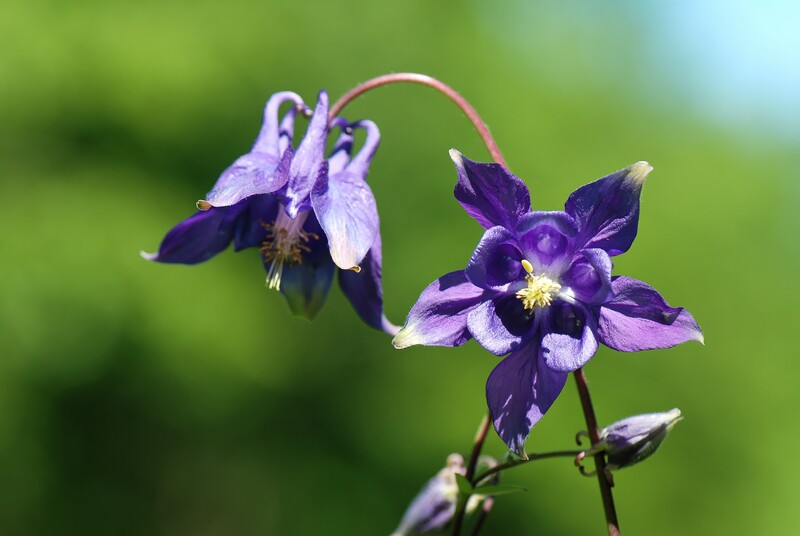 The wild Aquilegia is a very stately plant. 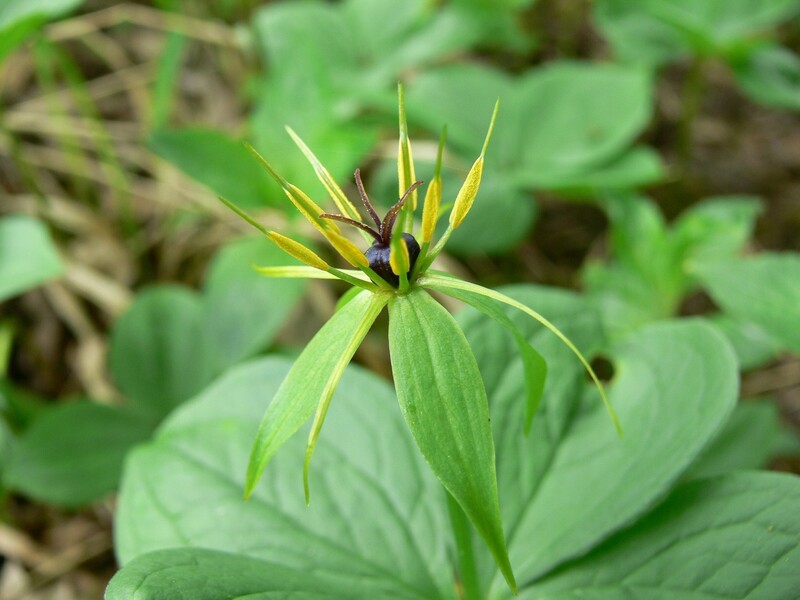 Herb Paris is another plant that favours the limestone conditions. 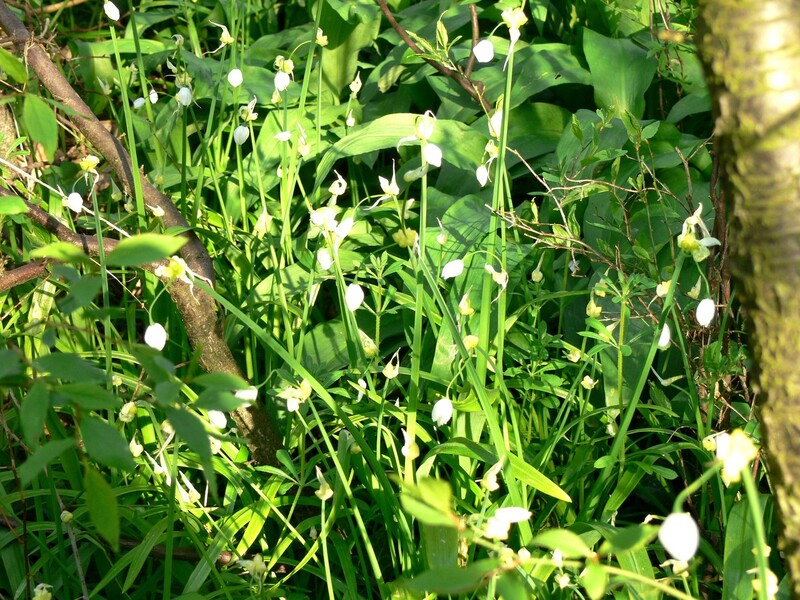 The Few-flowered Garlic can be found on the damp river bank. 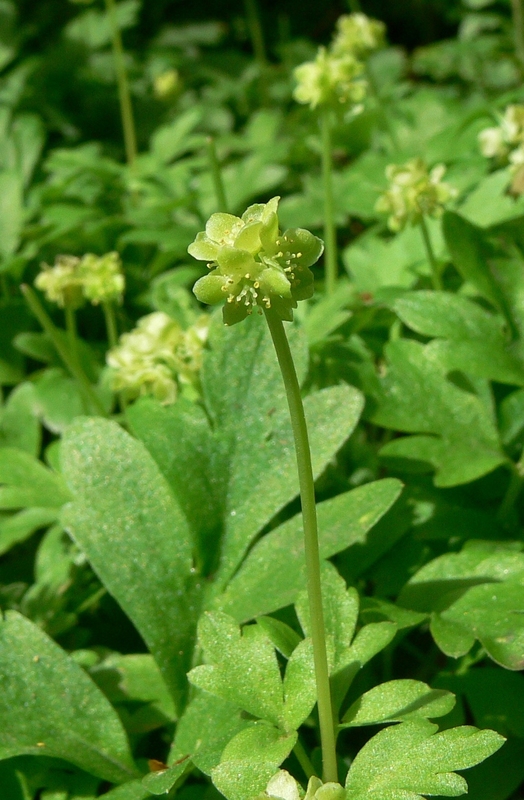 Moschatel gets its common name of “Town Hall Clock” from its flowers that are arranged in a square with a fifth on the top. Thistle Broomrape, Orobanche reticulata, is parasitic upon thistles; usually Creeping Thistle but in the wood has been found also on Spear Thistle. 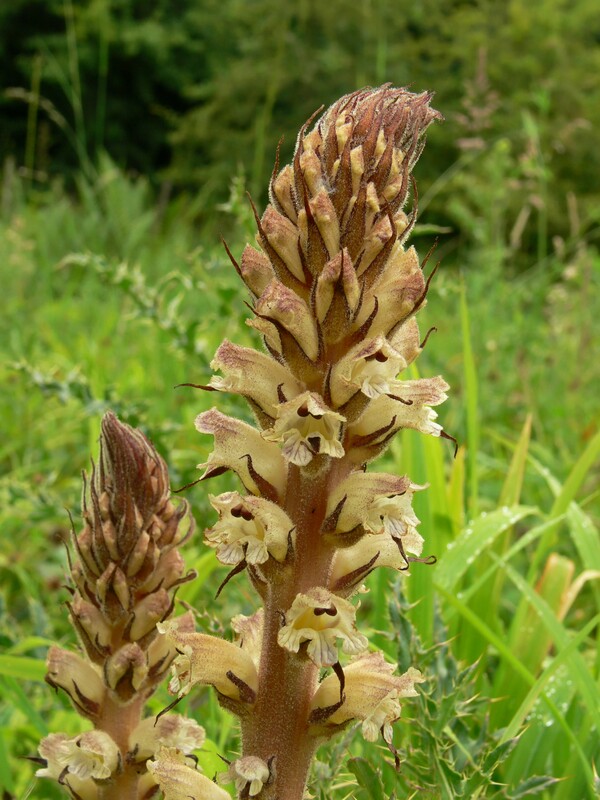 It is rare and is found only in Yorkshire at about 12 sites; hence its other common name of Yorkshire Broomrape. 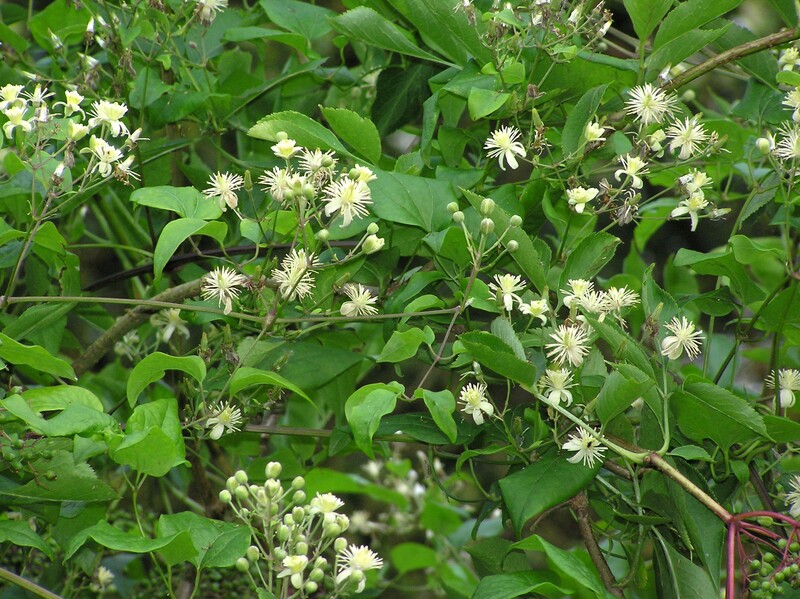 There are a number of specimens of Traveller’s-joy, Clematis vitalba, in the wood. Although common in the South of England, here in the north it has a local distribution with only a scattering of plants between here and southern Scotland. More specimens can be found along the side of the road between Wetherby and Walton and at the top of Jewitt Lane, Collingham.